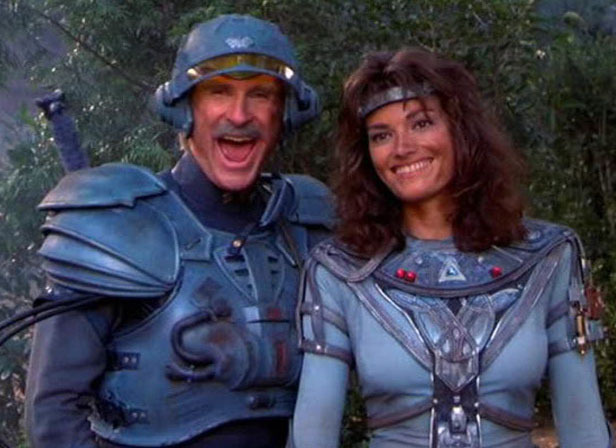 A fun and slightly insane look back on the Masters of the Universe with your hosts Carl, Jeff, and Eddie! We're proud to share with you, our second interview in our "MEGA Chats" series!! We've managed to meet some amazing people who have been involved with MOTU in some way or another, and we thought it'd be super fun to share those great conversations with YOU! We had the extreme pleasure of sitting and talking all things MOTU and Filmation with our new friend Mr. Andy Mangels at Grand Comic Con!! 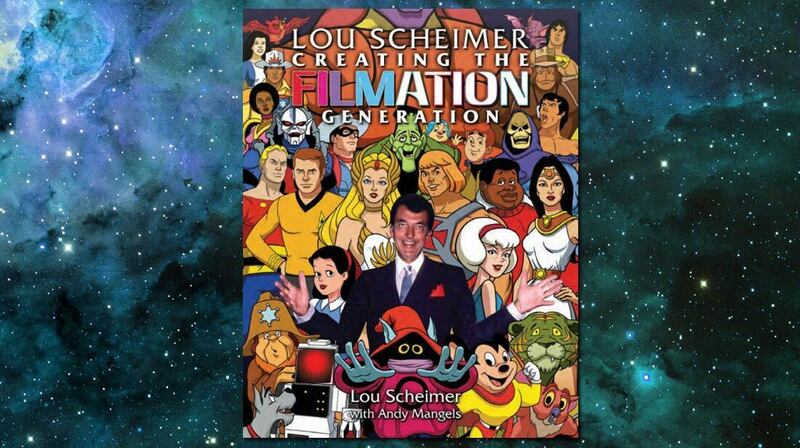 Andy Mangels has been writing for science fiction, comic, and pretty much anything pop culture for over 35 years, and it just so happens that he's also responsible for helping to create the astounding book "Creating the Filmation Generation" alongside the one and only Lou Scheimer!! Mr. Mangels' work doesn't stop there by the way, he's one of the most prolific writers in the world of science fiction you've ever seen! Just check him out on Amazon and you'll see what we mean! In this SCARY good episode, Jeff and Eddie were extremely fortunate to be able to sit with a VERY special guest, Candy from Omaha's very own, Pop Culture Exchange (PCE). Candy loves anything that has to do with skeletons, so we figured what better way to show off his fandom of bones and MOTU by talking about the one and only, SCAREGLOW!!! Not only do they talk about Scareglow, but they discuss many other skeletony (is that even a word? It is now!) figures such as the super rare, Skull Force toys and much, much, more! 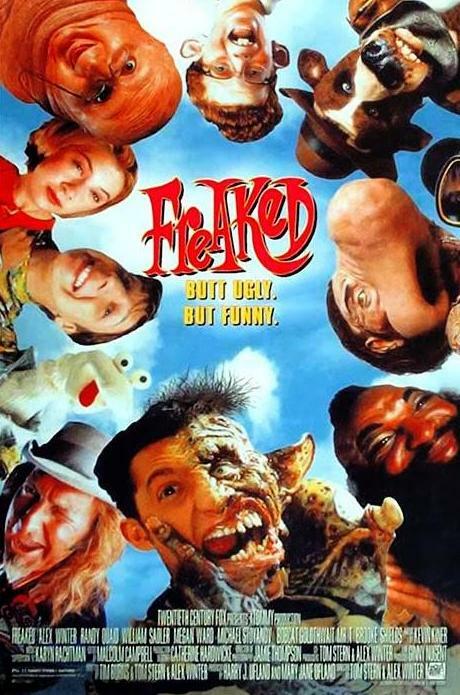 There were also some excellent tangents trodden, discussing the 1987 MOTU movie, Bill and Ted, and a dive into a pretty rare movie written, directed, and starring Mr. Alex Winter himself - Freaked! So, come on in, take off your skin, and rattle around in your bones, with this MEGA big episode! Tell them that you heard Candy on MEGA for some free high fives in one of the coolest stores to ever grace Omaha! Until next time, GOOD JOURNEY! In this bodacious episode, we decided to completely rebrand the podcast and dedicate it to the greatest hairstyle ever seen by human eyes...THE MULLET! 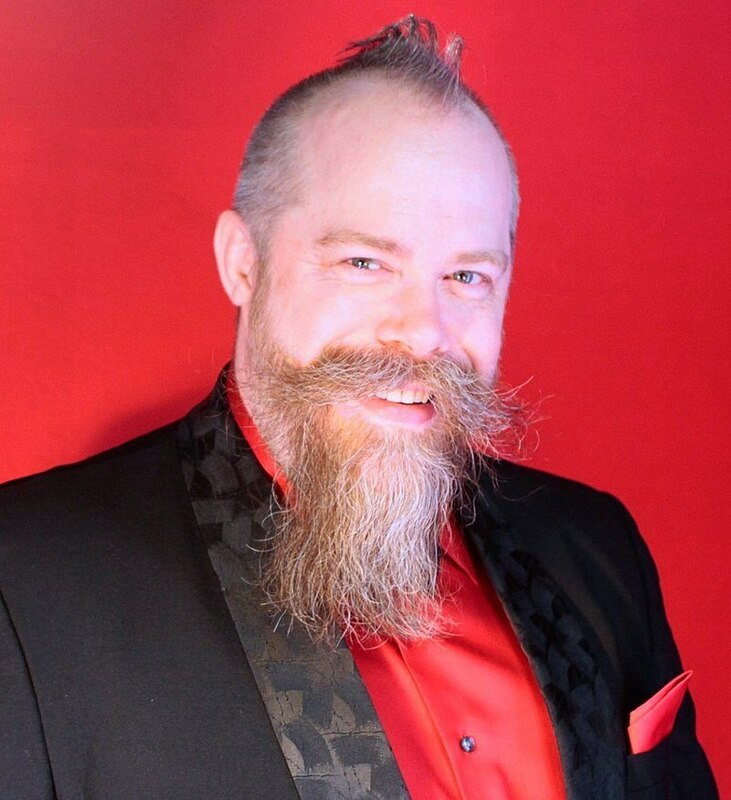 We're also joined by our most excellent guest, Lee Searcey from the Covert Nerd Podcast!! Please enjoy as we discuss all things mullet, AND even a few MORE radical things about the 80's and early 90's! Bodacious!! Mix one part cyborg, one part bear trap, one part zip line, and stir with a heaping spoonful of evil, and you get Trap Jaw! If someone asks you to name off the iconic evil characters of He-man, there is a good chance that Trap Jaw's name would come up very quickly. That's because of two reasons, #1 - He is downright AWESOME! And #2 - You couldn't swing around a bag of nickels without hitting him in an episode as he was in nearly every one of them! 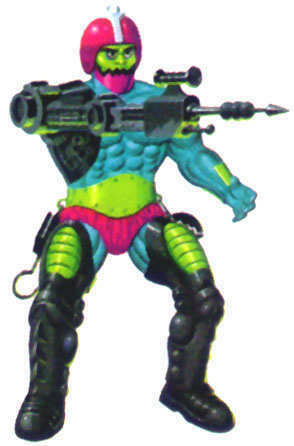 Trap Jaw was a part of Wave 2 of the Masters of the Universe toy line, but let's face it, he was Wave 1 in our hearts. 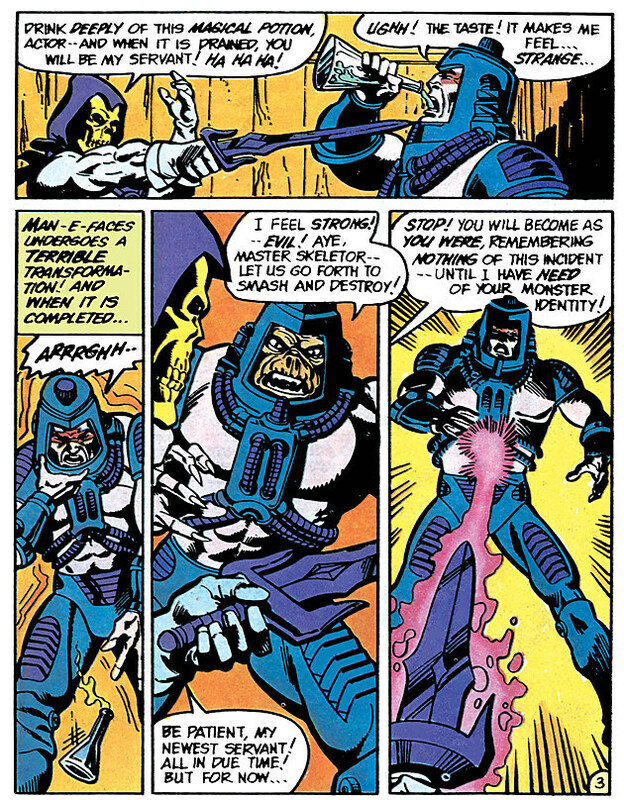 He was one of Skeletor's most notorious evil henchmen with quite the backstory. There was definitely a lot to explore in this redo of one of MEGA's favorite bad guys. So sit back and enjoy Jeff and Eddie's thoughts of the one and only, Trap Jaw! Trap Jaw in the 1983 Filmation cartoon, which did a very good job to make such an evil looking dude, so lovable! 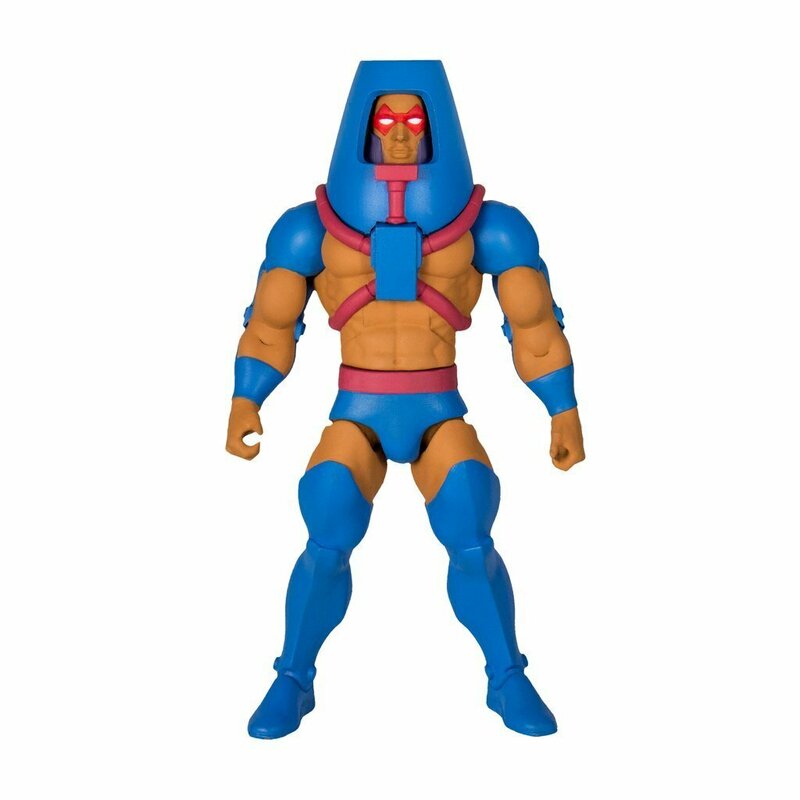 Trap Jaw was one of the very few characters to be released in Wave 2! As we went some of our original episodes to revisit some of our favorite characters, we realized we'd be completely remiss if we didn't discuss this next one! 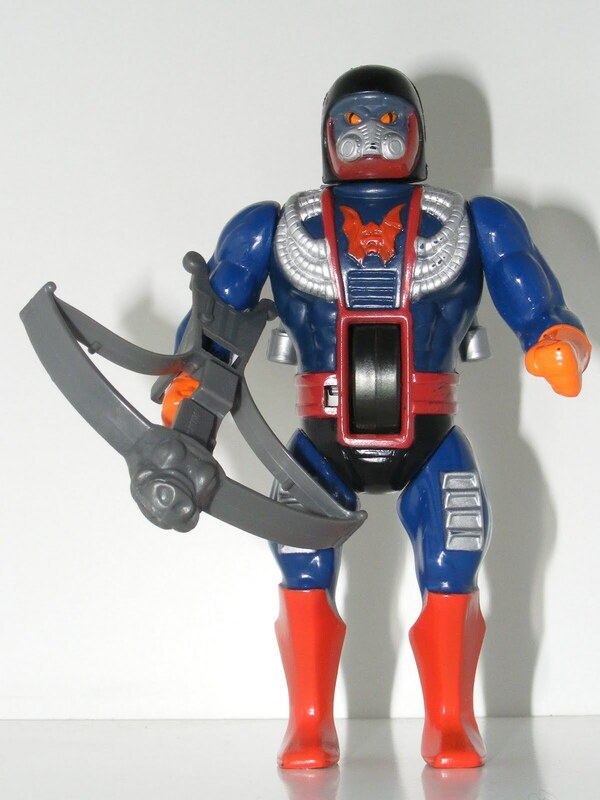 One of the first wave of action figures, and arguably one of the "trinity" of the hero characters, this is THE person you want by your side: Man-At-Arms!! This guy has more going on in his life then the your average weapons master! 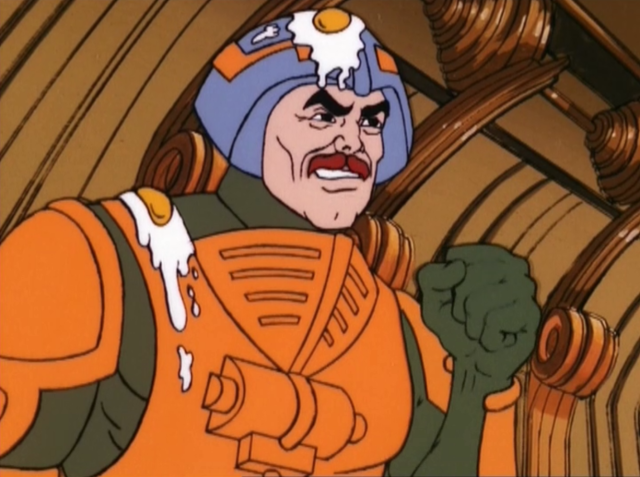 Please enjoy our take on Man-At-Arms and also please enjoy as Jeff shares some great excerpts regarding Man-At-Arms' ultimate fate AND some great details on the action figures as well! Behold 1983 Duncan and 2002 EXTREME DUNCAN!!! Duncan is all about eating ribs! Just don't tell Teela what they're made of. 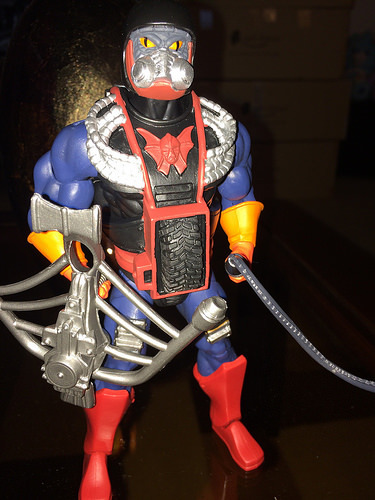 The 2002 MOTU Reboot Man-At-Arms is pretty amazing. I like my eggs over-duncan! We at Make Eternia Great Again have an appreciation for the characters that didn't get their time in the limelight. When He-Man was getting all the love, our hearts went out to Buzz-Off. When Beast-Man was all the rave we were looking right at Whiplash. When our friends brought their Man-at-Arms figure over to play, we had our Kind Randor at the ready. 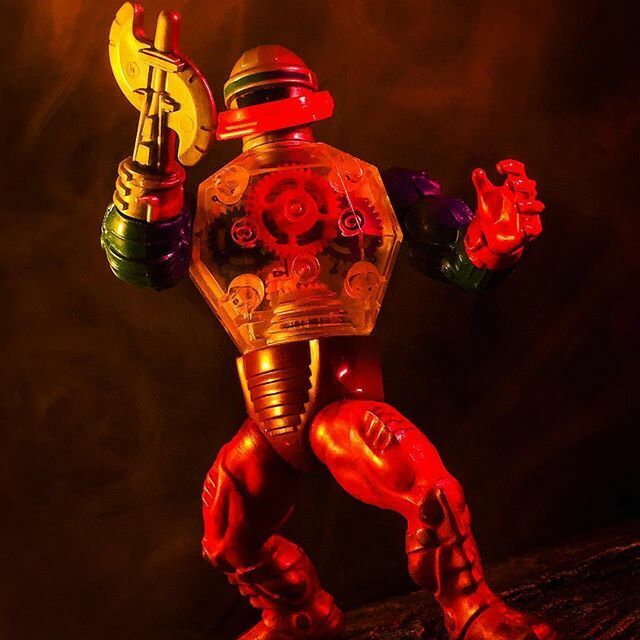 With all of that being said, one of the characters from the latter waves of MOTU that has captured our heart and imaginations is the one and only Rio Blast! Assembled here for you, is a jam packed jamboree of ALL of our Rio Blast segments from our podcast episodes so far! We even have a word from your friendly neighborhood abomination, Modulok! Please enjoy the Rio Blast Roundup! Stay tuned as we create all NEW Rio Blast segments and even MORE great Episodes of Make Eternia Great Again!! Also, we're developing a one-of-a-kind parody comic book with the help of our amazingly talented friends from Art of Lee Bokma, Tank Zombie Studios, OMUG Comics, and The Covert Nerd Podcast! We'll keep you updated via out Twitter and Facebook pages! 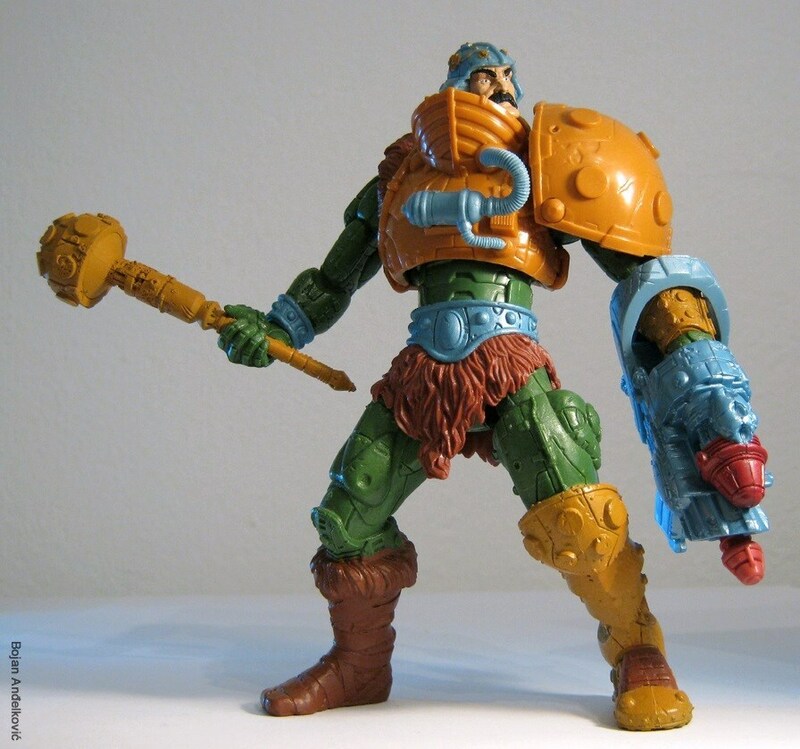 On THIS thrilling installment of "Make Eternia Great Again" Jeff and Eddie discuss one of the coolest characters "Wave 2" characters from Masters of the Universe. 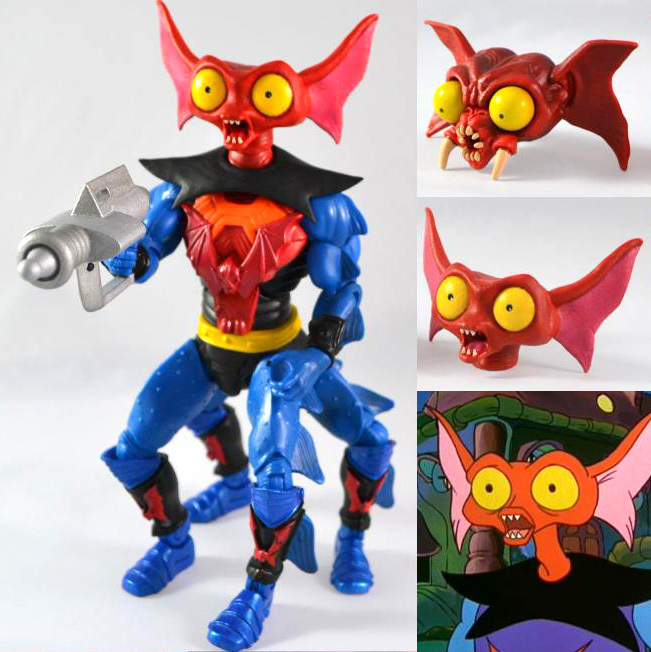 He can change his face faster than your mood ring can switch colors, he has the acting chops of Sean Connery, and he's the only MOTU character to be forced to drink some nasty mystery juice Skeleton made at knifepoint. 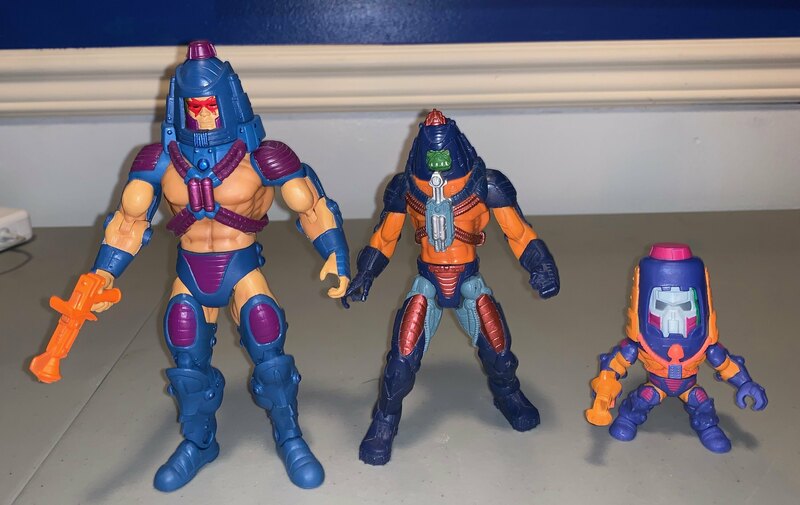 We're talking about the one and only, Man-E-Faces!! Part Man, part monster, part robot, and ALL around COOL GUY, we jumped at the thought of discussing this one of a kind character. Wait! Didn't we ALREADY discuss Ma-E Faces?!? We DID! WAAAAY back in episode two of this fabulous podcast! Check it out HERE! But we decided it would be even more fun to revisit some of the characters that were featured in the beginning of our show and also get Jeff-at-Arm's thoughts and musings on these amazing and imaginative figures. Good Journey!! Dude Bro where's the dial to change yer faces man? CHUG CHUG CHUG!! But seriously this is where Monster energy drinks came from. In this episode, join Eddie and Jeff as they discuss one of their favorite robots to ever be birthed from the 80's, the one and only, ROBOTO! Wait, Roboto? Didn't MEGA already do an episode on Roboto? Don't worry, this isn't a glitch in the Matrix! Roboto is SO cool, that we wanted to discuss him AGAIN! Jeff joined MEGA on Episode 29 so there were a lot of epic characters that we never got to hear his perspective, so we are going back to discuss some of them in further detail. And let's face it, you would rather hear about Roboto than Plundor right?! So sit back, poor yourself a bowl of Mr. T Cereal, grab your Hi-C Ecto-Cooler, and listen in on a MEGA discussion about one of the coolest robots that ever existed! In what very much seems as Mattel's last bid to attempt to cater to kids' shifting interests in the mid/late 1980's, the toy company decided to "open the gates" on the character designs and seemingly release concepts hat had since been held back. In the world of MOTU the base foundations of swords and sorcery were apparent, but as the toy line and cartoon grew, so did the mythos. Not only did tiger-riding barbarians fight along side sorceresses and flying monkey-men, but now they had cyborg elephant-headed warriors and space cowboys on the team too! Some strain was beginning to show. 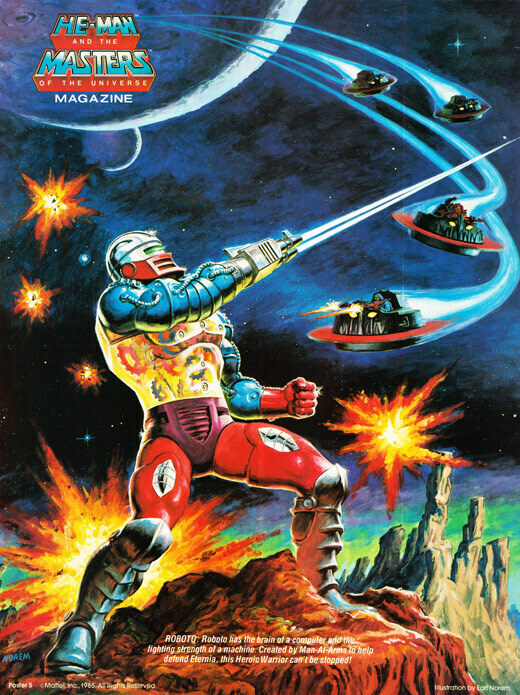 What seemed to hint at the engine of creation starting to stall however, was the introduction of a character to seemed to almost belong to another universe all together; part Horde warrior, part GI Joe figure, and part Transformer, this character seemed to try to be everything to everyone. Dragstor came zooming onto the scene towards the end of the MOTU run and is generally met with a fairly tepid response by most MOTU fans as his entire design and power set is confusing when compared to the other toys in the line. That, and the lack of a toy function that did what was advertised to do in the comic and commercials, the "meh" that Dragstor was met with by children was audible. 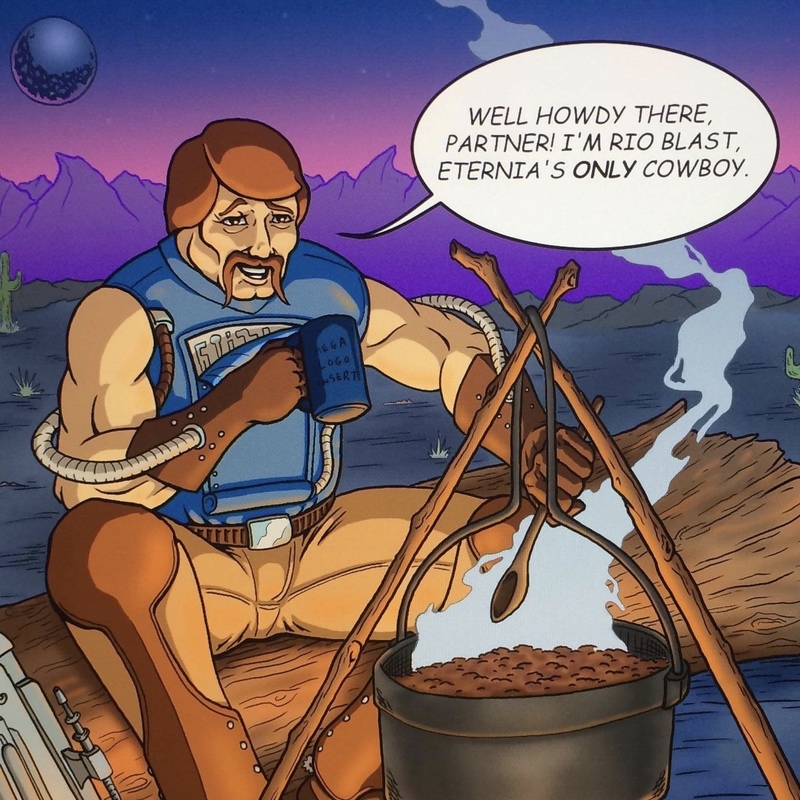 We DO realize we're saying this with full knowledge that this universe also has a cowboy who has guns hiding in his chest and thighs. Our take away was that by trying to appeal to everyone, this character ended up appealing to very few, but (much like your crazy Cousin Eddie) he STILL has a home in the MOTU and we're talking about him NOW! Just when you thought you'd never need a Rebrunk Nurus in your life, along comes Mantenna to prove you wrong! 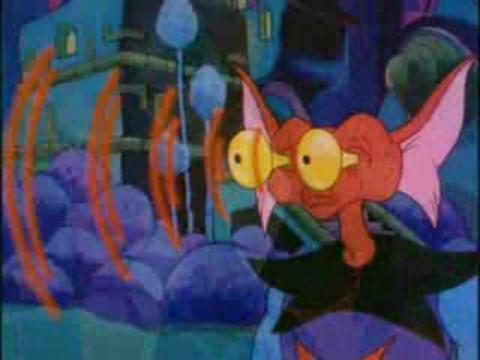 One of the villains of the Evil Horde, Mantenna was probably one of the more fun characters in that his powers and "action feature" were over the top and a straight up bonkers. 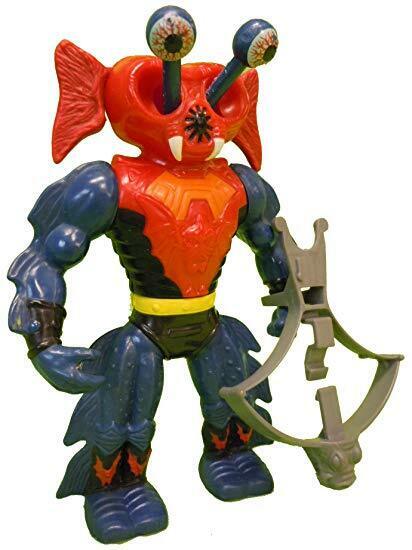 His character design, and overall look were a bit scary, but still weird and cool enough to intrigue all fans of the MOTU. Using his telescopic eyes to spy on the good guys AND using those crazy-eyes to shoot all manner of beams into their faces too?!? Hope to Procrustus that Santa is keeping an eye on you and NOT Mantenna! Mantenna didn't play around, even if he WAS treated poorly by the other members of The Horde, he'd still give them the evil bug-eye and creep just about anyone out. Barely featured in the mini-comics, but still loved by many, please enjoy as we discuss Mantenna on this episode of MEGA!! Copyright MEGA 2017. All rights reserved.